The Siskiyou Chapter is honored to be hosting the NPSO 2019 Annual Meeting. We'll be based at Pacifica: A Garden in the Siskiyous in Williams, Oregon. 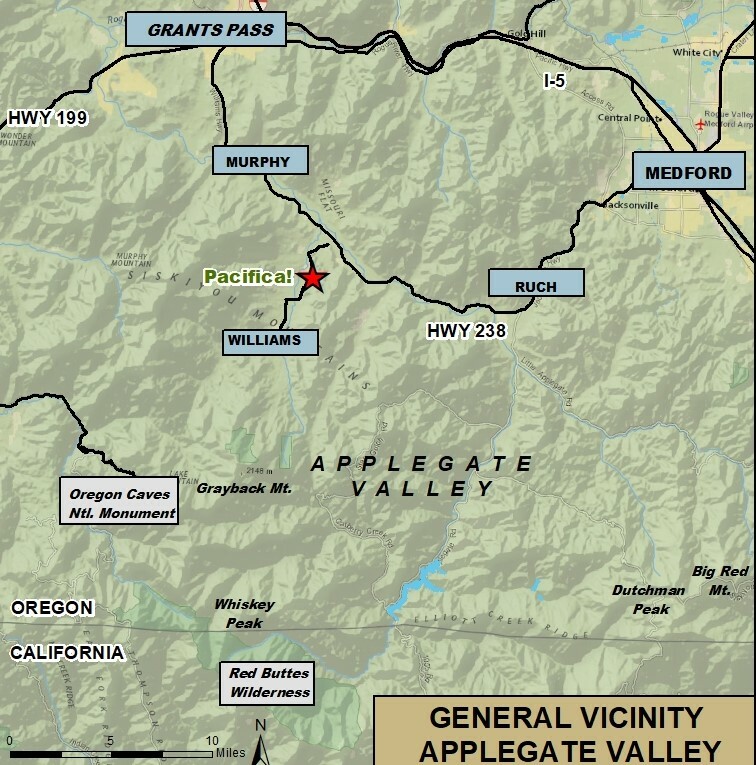 The meeting will highlight the beauty of the Applegate Valley and the special plants of the Siskiyou Mountains. The field trips will feature the Siskiyou Crest, including Big Red Mountain, Dutchman Peak, Cook & Green Pass, Red Buttes Wilderness, Miller Lake, Grayback Mountain, and Bigelow Lakes. Our guest speakers will be Michael Kauffmann, plant explorer and author of Conifer Country: A Natural History and Hiking Guide to the Conifers of the Klamath Mountain Region and Luke Ruediger, naturalist and author of Siskiyou Crest: Hikes, History, and Ecology. Our 2019 Annual Meeting logo by Paula Fong showcases Siskiyou willowherb (Epilobium siskiyouense), one of the many plant species endemic to the Siskiyous. For the first time, Annual Meeting registration will be online, although we will accommodate registration by mail. We will also aim for a zero waste event and encourage participants to bring their own tableware and napkins. Remember that only current NPSO members can attend Annual Meetings, so please join or renew your membership.